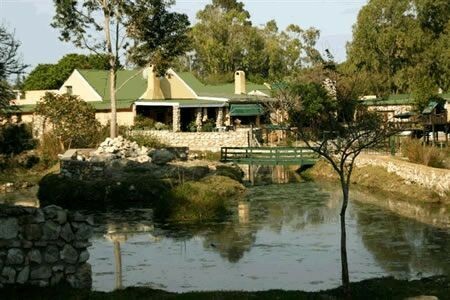 Botterkloof is a 3 star resort situated on the Garden route 5 km from the picturesque town of Stilbaai. Come and relax in nature - and you are 5 minutes away from one of the best blue flag beaches in the world. Swim amongst the breakers or relax in the lagoon. We have 7 self catering cottages from 2 - 4 bedrooms and two lovely Bed and Breakfast units. 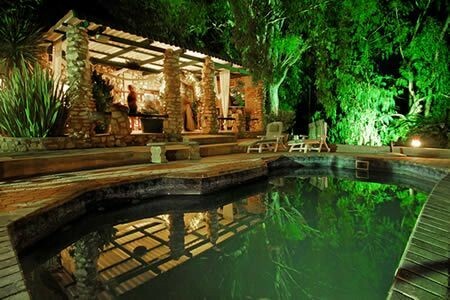 Botterkloof offers exceptional value for money for weekends, groups, conferences and special functions. 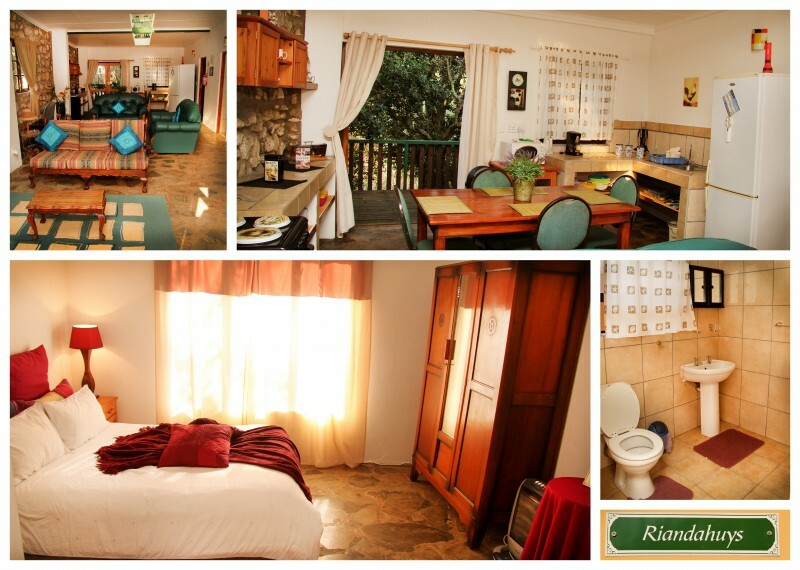 We have 16 self catering cottages all fully equipped with all the kitchenware, bedding, braai and toiletry facilities. 4 Private bedrooms all en suite, one with own lounge. Large lounge , guest toilet. Fully equipped kitchen, TV, stoep with built-in braai. (Max persons - 8). Airconditioned. 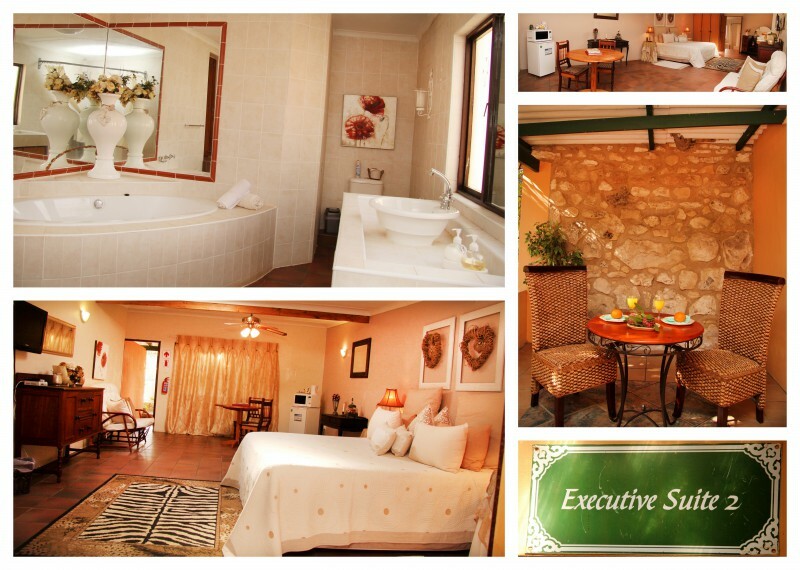 Choose our conference facility for your next conference and we will spoil you at Botterkloof. Set in an unspoiled paradise of tranquility we have created the perfect setting to map your companies future and for the perfect bosberaad. Botterkloof Resort is the perfect venue to conduct business with its modern conference centre, offering individual conference tables and chairs, or seating for 60 delegates, and provides high-tech conference equipment. The centre is fully air-conditioned and contains a kitchenette, and catering for functions will be arranged on request. We have pool and recreational area. The rotisserie can accommodate sheep on the revolving spit. The conference centre is popular during the week for business, conference, and over weekends it is a popular venue for church groups. Groups (booking 5 or more chalets) can pre-book their accommodation up to one year in advance. The conference room can accommodate up to 40 delegates in U-Shape, 60 Banquet style and 60 Cinema Style. We have three breakaway rooms for teams. Dinner can be organized over the fire or from our fully equipped industrial strength kitchen. There are also a large variety of restaurants in the nearby coastal town of Stilbaai. Transport can be arranged from Cape Town and George airport at an extra cost of R250 and R170/ person respectively. Should you wish to use our CEO, Mr Gert Kruger, for one of the leading Executive Coaching and Turnaround specialists in South Africa to facilitate your conference - you can use Gert to let management teams bond and produce better bottom line results. A program tailored to your company's values / culture and supported by leaders. It is competitive and fun whilst the team get involved. We can organise absolutely everything for you! If you don't have the time we offer a one stop service to arrange everything but the wedding dress and spouse. Our 80 seater chapel is situated inside the Deer park. The view is magnificent, overlooking the hills and the fynbos. We have a lovely restaurant and pool where you could have the Reception. Most of the weddings were held under our giant pepper tree and our island is also available. Folklore has it that early in the 18th century, a Stilbaai farmer was traveling to the market with his ox-wagon - loaded with butter vats. In a valley 6km from Stilbaai the wagon tipped over and butter spilled everywhere. From that mishap the name Botterkloof! In 1994 Gert and Elsa Kruger bought the farm Botterkloof and started farming with ostriches, sheep, beef and porkers. They setup a meat factory with 5 retail outlets. This business was sold in 2004 and the farm buildings converted to a Conference Centre and different types of accommodation. 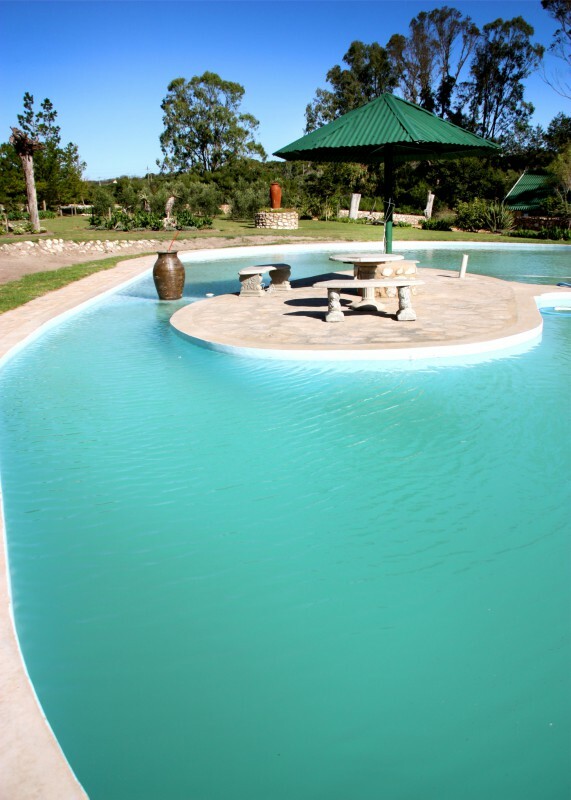 The farm consists of 240 hectares of which 30 hectares are pastures. The rest is mainly veld with 6 types of proteas and an abundance of fynbos. There are many walkways with game and large variety of wild birds and waterfowl. Six kilometers from the Resort is Stilbaai's pristine beach's. Boogie boarding, surfing, snorkeling and swimming all year round. Buy fresh fish daily at the working harbour. One hour away is the Robertson wine route with unbelievable value for money white and red wines. Our forefathers were living in the Langeberg region as long ago as 77 000 years! For some time now scientists have known that modern humans (Homo sapiens - the wise human being) originally came out of Africa . They were people who had crossed the divide between animals and humans: they looked, thought and talked like us. Archaeology indicates that from about 100 000 years ago our forefathers slowly (every many centuries) started moving up through Africa, eventually populating the rest of the world via the Middle East . However, for these scientists the question was: did Homo sapiens start thinking in a “modern” way before or after leaving Southern Africa? Recent archaeological excavations at Blombos Cave, overlooking the sea about 15km south-west of Stilbaai, clearly indicate that our Blombos ancestors had already begun thinking in a modern way. Successive waves of these people had occupied the cave while hunting, fishing and gathering seafood and veldkos nearby. Probably because from time to time the local climate was more favorable for survival than it was elsewhere. In fact, the interplay of the unique climate, rivers, sea, fauna and flora of the Southern Cape created an ecosystem favorable to the evolution of humans as thinking and sensitive beings. Till quite recently the theory was that these people while physically modern, only became behaviorally modern after entering Europe. Proof this was thought to be the exquisite stone and bone tools as well as beautiful rock paintings and small stone sculptures produced by their Cromognon descendants 40 000 years ago I the south-west of Europe. Further proof was the fact that the Cromagnon fished, which means that they had progressed a step further than being mere hunters and gatherers! However, this theory turned on its head by the Blombos finds. According to archaeological evidence the cave was intermittently occupied by Khoisan hunter gatherers during the past 3 000 years. Prior to that, the cave was unoccupied for more than 70 000 years, during which time nature deposited a thick layer of Aeolian sand over Middle Stone Age (MSA) levels, encasing it in a natural time capsule. Recently, using optimally stimulated luminescence technology, scientists were able to date the time of the start of this deposit at 77,000 years before the present! The delicately crafted stone and bone implements of the Blombos MSA levels thus precede the comparable European artifacts by nearly 40,000 years! What's more, the Blombos people were also artists! More than 8 000 pieces of ochre, commonly used as colour pigment in artwork, were found in the MSA levels. Ochre is not indigenous to the area and had to be imported. Some ochre pieces had even been engraved with geometrical patterns! Besides this, like their later European descendants, bone evidence shows that they also fished! In short Homo sapiens thought and acted wisely even before leaving for the north: 77 000 years ago, our Blombos ancestors' behavior was already modern. Should you want to know more about this fascinating tale, please visit the archaeological exhibition at the Stilbaai Information Bureau. You may also book a tour with one of their archaeological guides. Stilbaai is a small picturesque seaside town on the Southern Cape Garden Route. With the neighboring villages Jongensfontein and Melkhoutfontein it is well known for its scenic beauty, fine weather and unpolluted environment. The Stilbaai vicinity has a rich Stone Age heritage. The unspoilt environment of 77 000 year ago nurtured a people destined to become the ancestors of all modern mankind. The secrets of these people are now being revealed to us. As the excavations in the Blombos Cave , near Stilbaai continue they provide answers to the origins of people who looked, behaved a thought like us.